Many Pad options at different spice levels. What a great daily lunch deal ($6.95 for a good portion of noodles)! Welcome to a little piece of Thailand. A perfect place for a speedy lunch….eerr uuhh….we sort of lost our wit and funny…..we can’t think of much to say here….just go, you’ll be happy. We both keep thinking about how good it really was. Fine – I liked these little guys like I always do. Fresh ingredients rolled tightly, which is key. The dipping sauce left a little to be desired. 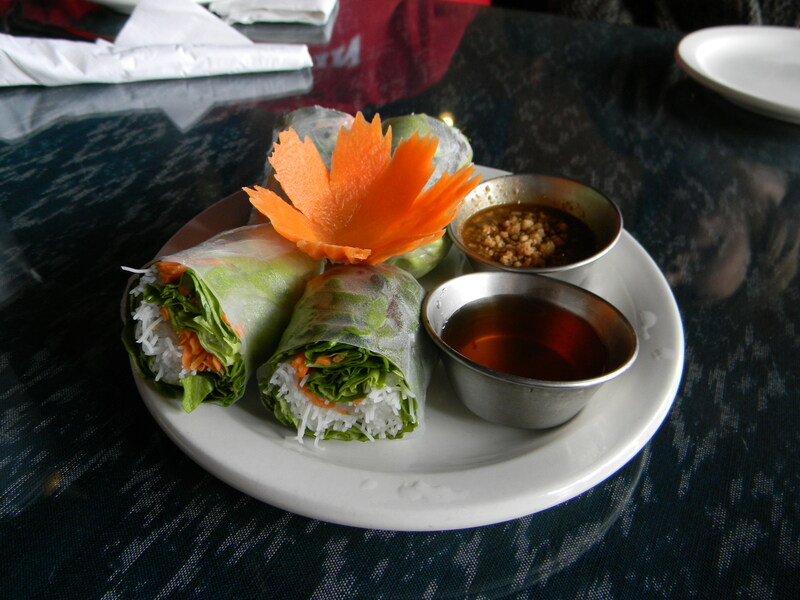 I once had a plum sauce with a spring/summer roll and that was so gooood. So this sauce was kind of boring to moi. Fabulous – I’m a traditional Thai food girl. 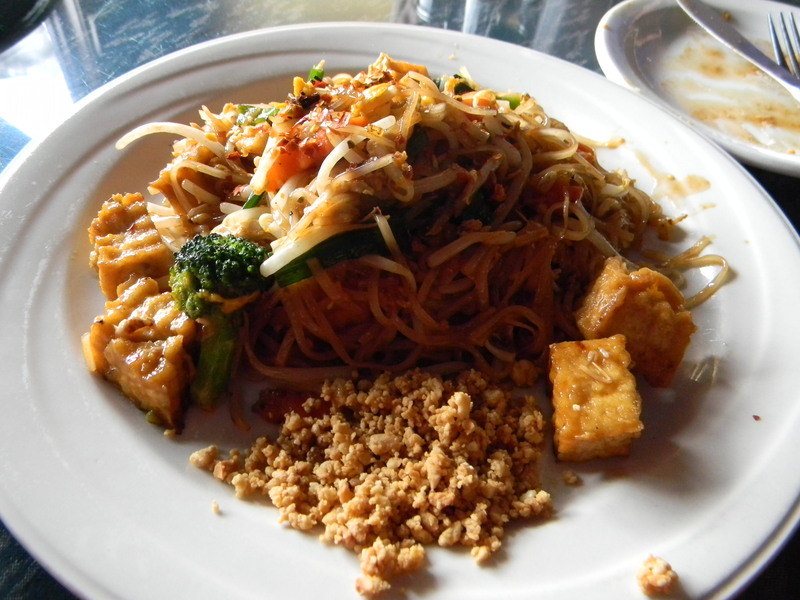 You can’t go wrong with Pad Thai with nut dust. Savory sauce with perfectly cooked tofu and veggies. Amazing! – What she said. 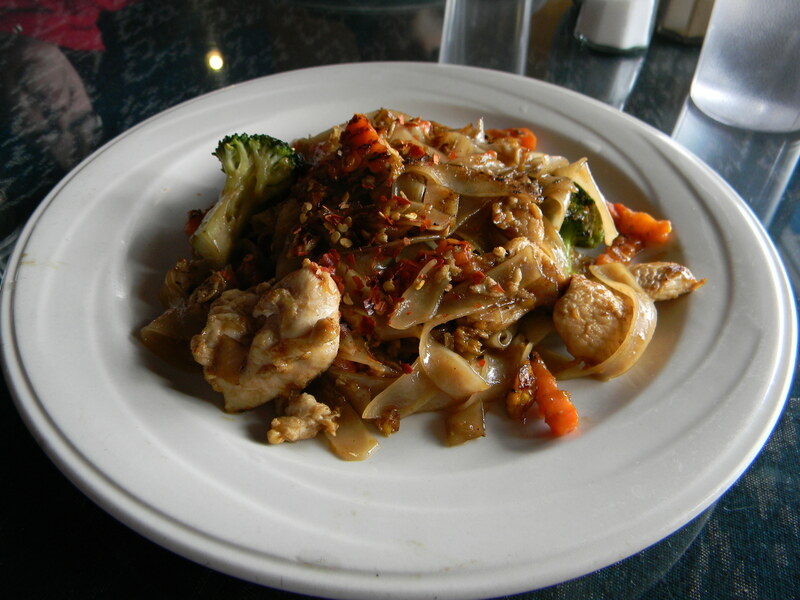 Fabulous – I had never had this dish before, go me for trying something N.E.W. Also I have to give a shout out to my friend Melizzo, who loves this dish, and helped me to convince HW and Michelle to order it. 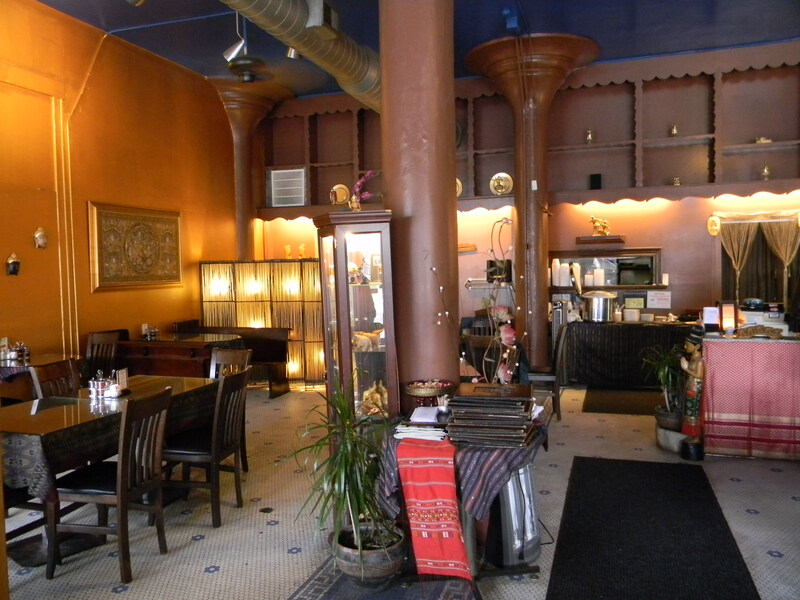 COME HUNGRY….LEAVE SOME FOOD FOR BUDDA. Ashley has room to talk…Nut Dust!